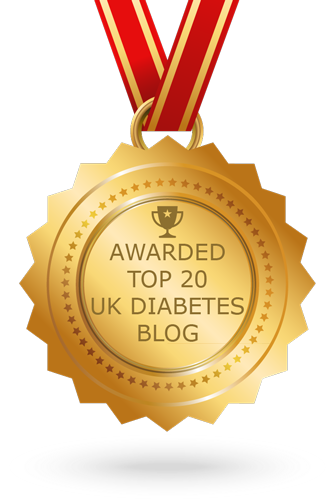 Every day ups and downs, a diabetes blog: New Clinic vs Old Clinic - Guest Post by Lucy. New Clinic vs Old Clinic - Guest Post by Lucy. "I honestly left feeling quite stunned and shocked, and with the thought "have i just walked out of some parallel universe?". It was a wonderful example of how things should be, and did wonders for my confidence in ability to communicate my own thoughts and feelings at appointments, something I've previously struggled with a lot." Lucy. Well, as some of you may know I've been asking for a couple of years at least to switch from one local hospital to the other, due to not being happy with the way I'm treated at the hospital I had been going to. After my last appointment there, I was so surprised and upset at what happened that I went and saw my GP, explained how I felt whilst holding back the tears, and he asked me to write a letter to the consultant explaining what happened from my point of view. I'm not one for complaining but for the first time, as instructed, I wrote a 2 page letter explaining where things went wrong, asking for further explanations of the decisions I disagreed with, and backing up my point of view with evidence from official bodies. So it was very exciting this week to have my first appointment at the other hospital. There was a bit of mix up with the appointment letters going to the wrong address so it was all a bit sudden but I got there. I don't want to name the hospitals, as I'm sure others have good experiences at the other hospital, but some of you will know where I mean. Usually I leave appointments and start crying. I left this appointment feeling like I'd left a parallel universe. My appt started promptly and lasted over half an hour. The nurse introduced themself and told me their name and role etc. It is a very nurse led clinic. There are consultants too, but she explained that the nurses focus just on analysing patterns in BGs etc day to day, and that makes them pretty strong at that, whilst the consultants see the bigger picture - they're important too they just have different roles. I was asked my opinion a lot. 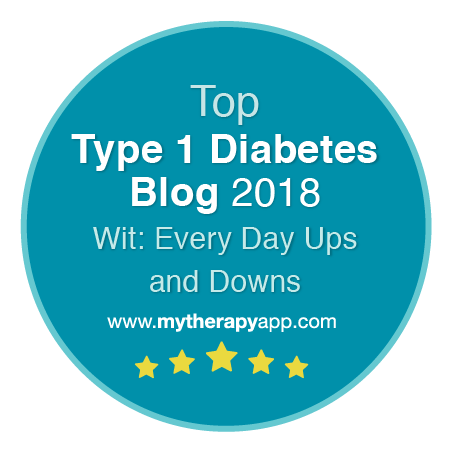 Am I happy with my diabetes control. Any thing I want to change or improve? I was talked to like a competent and knowledgeable adult. My opinions werent just asked for but they were listened to and responded to. The attitude was that I am a key part of decisions and I should steer things. It was about letting me know what they can offer me, and leaving it to me to decide what I want. If I want to see a dietician I can, if I want to see the DSN very often or very little, then we can arrange that too. If I want to communicate via phone or email, then I can do that too. Wrote down the details for me. I was offered carb counting courses for the first time, in groups or one to one. It wasn't a "you should do this" it was a "you should know we can do this, if it's something you decide you want to do at any point". Insulin pumps were brought up by them not me. There are several hundred people on NHS funded insulin pumps at the clinic and they are not all T1. I was told not being [classic] T1 doesn't mean pumps aren't an option, though it is more rare. They also made sure my expectations were realistic and that I didn't take it to mean "of course you can definitely have a pump". I was asked how I find Tresiba, how do I think it's working and how do I find it. I've told previous Drs that I dont think it gives me a benefit over levemir/lantus and been told, "Yes it does, its very good, stay with it". I told the nurse that I don't think it is worth the extra cost and instead of telling me I'm wrong, she asked why and I explained. Basically we had a normal adult conversation like normal adults do rather than one person treating the other like a child. I was asked if I'd tried the tablet that makes you pee out sugar (can't remember the name). That was mentioned as an option I hadn't tried, and that I can try it with insulin. I wasn't told "you should try this", I was told "this is what it does and how it works and the benefits of it" so that I could think about it as an option that hadn't been mentioned before. I was asked if there is a particular consultant I wanted to see or if I'm happy to see any. I was interested in seeing one that knows about pumps but of course they're all pretty pump knowledgable anyway. One tweak was suggested to me to experiment with, which is to try a bolus as soon as I wake up, before getting out of bed even, to stop the DP (dawn phenomenon). I was nervous about trying it because of having insulin when walking the dog, but felt comfortable with trying it - starting small - after chatting it over. They showed interest in my Libre sensor, had heard of it, and were interested in how I found it and how it improved my life. They looked at the weeks daily BG traces I had printed off and saw patterns and generally seemed interested in the data. It must be years since anyone has even looked at the BG printouts I take and offer them. I'd been told sensor is a waste of money and not to use it at my previous clinic. My A1c is 68, at last hospital I had been told "well that's close to target of 8% so stop the apidra now". When I kept saying my personal target is under 6.5%, I was told to be realistic and that that isn't possible without loads of hypos. At the new hospital I was listened to when I said I wanted it lower to reduce risk of complications, as I have plans for a long healthy life. Only opinion given on my BGs was that whilst they could be lower they aren't terrible, but if I want to improve them then we can work together on that. I was asked when/if I wanted to come back to see the DSN again. It could be as soon or far away as I liked really, it was up to me. I was a bit surprised by all this 'being asked what I wanted' to be honest and didn't know what to say, so she suggested a time period and I agreed to that. 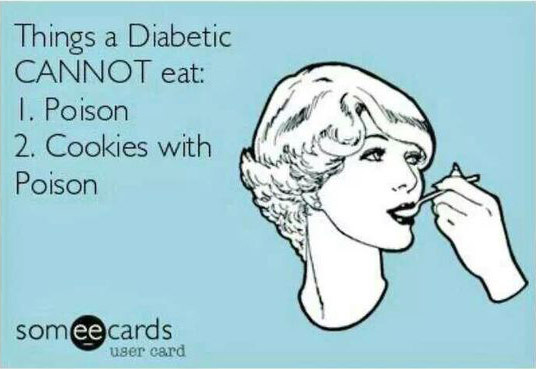 I've said or thought previously that in an ideal world, my diabetes appointments would be like my one-to-ones with my boss. He asks me what I'm happy with and where I want to improve, if there are any courses I think would help me, or any support that I feel I need. He asks what targets I want to set and where I want to get to. He offers some feedback, guidance and suggestions, but it's a two way conversation, between two competent adults. 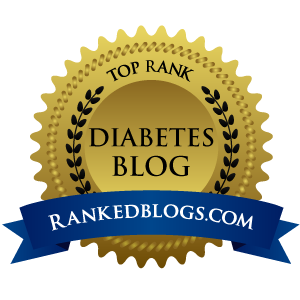 My previous diabetes appointments have never been like this. My new one was like that. I honestly left feeling quite stunned and shocked, and with the thought, "Have i just walked out of some parallel universe?". It was a wonderful example of how things should be, and did wonders for my confidence in ability to communicate my own thoughts and feelings at appointments, something I've previously struggled with a lot. Thank you so much for sharing this Lucy. Sounds pretty much perfect.